That’s where HydraFacial, MD comes in. Growth Factor boost minimizes the appearance of fine lines and wrinkles to restore skin health and vitality. Dermabuilder boost minimizes signs of aging and recharges skin with a patented combination of peptides. Britenol boost minimizes the appearance of dark spots and sun spots for an even complexion. Don’t forget on April 6th we are holding our Poker Night Open House Happy Hour at The Retreat Med Spa, Fort Worth. 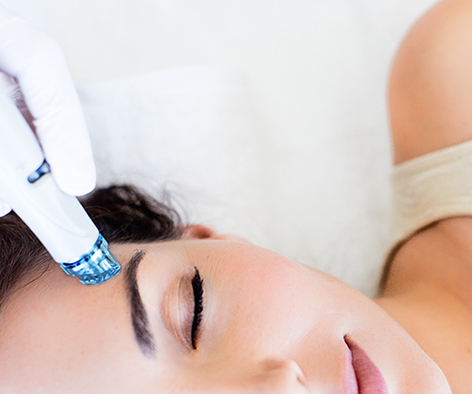 We’ll let you in on a little secret surprise…the HydraFacial will have special discounted pricing exclusively for the event! RSVP for the event. Ready to make an appointment? Just give us a call at 817.887.9956 or visit our contact page. Click here to see some of the life changing results this treatment can provide!